So, about that trade war. Recent days have presented a dizzying series of reversals followed by reversals of reversals over whether, when, or if the United States will impose punitive tariffs on China in response to unresolved issues, ranging from intellectual property theft to lack of access to domestic Chinese markets. On Tuesday, the White House made a splashy announcement that it will move ahead with tariffs, which were widely reported as a done deal. Except that they're not. The White House said only that it will release a list of affected goods on June 15, with implementation to follow at some point. It’s impossible to know how all of this will play out, but if the past weeks are any guide, it would seem that—like many things in Trumplandia—harsh words may not translate into harsh actions. If past is any prologue, it would be wise to ignore the noise of the moment and carry on as if these word wars will remain words and not wars. For businesses, the phony trade war offers the temptation of rubbernecking—slowing down to see what’s there. Better to move along with the attitude that there may be nothing to see here. Only react when there’s actually something to react to. For much of the Trump presidency, there have been voices urging a hard line on China, and voices arguing for engaging China’s leaders. 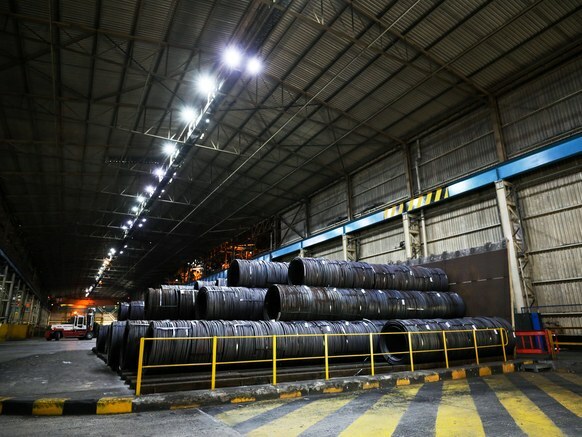 In March, it appeared that the hard-liners were in ascent; the administration announced broad tariffs on steel and aluminum imports globally, which minimally impacted China but sent a strong signal that the White House planned a more confrontational approach. Then the White House announced sweeping tariffs on $50 billion in Chinese goods, followed by a threat of targeting another $150 billion of imports. None of these has yet taken effect. Ten days ago, after high-level meetings in Beijing and Washington, Treasury Secretary Steve Mnuchin said the pending tariffs had been put on hold, for the moment. But then came Tuesday morning’s White House statement. Next up: Commerce Secretary Wilbur Ross is set to travel to Beijing this weekend, with the aim of some sort of grand bargain on trade. Back and forth, back and forth, with little to show. For now, the confrontation remains almost entirely verbal, with dueling press releases and proposed tariffs to take effect at some point, which are often delayed when that point is reached. The question is where do we go from here. What’s striking is that each time a moment of action approaches, both the Chinese and the Americans start talking more pointedly about their economic relationship (and their political one, given the high-stakes negotiations surrounding North Korea, and the on-again, off-again Trump-Kim summit. Given the short-termism of our culture, it’s easy to forget that Chinese and American political and business leaders have been arguing and rejiggering their economic relationship at almost every point over the past 20 years. One of the more intractable issues involves a large but not-well-known Chinese telecom company, called ZTE. Though it is by some measures the fourth-largest phone manufacturer for the American market, ZTE has had more press in the past weeks than in the past decade. After ZTE admitted violating US sanctions on Iran and North Korea, the US government banned American companies from doing business with it. Given that ZTE depends on US technology companies such as Qualcomm for components, the ban would have the effect of driving ZTE, a multibillion-dollar company that employs tens of thousands of Chinese workers, out of business. That rather disturbed China’s president Xi Jinping, who broached the matter with Trump. As a goodwill gesture, and an apparent move to ensure Chinese cooperation around North Korea, Trump promised not to drive ZTE out of business and instead to work on a compromise involving substantial penalties. That generated bipartisan criticism in Washington, including from Republicans such as Senator Marco Rubio; the Senate Banking Committee voted 23 to 2 in favor of a motion to limit Trump’s ability to soften sanctions against ZTE. If this seems confusing, it is. Amid these daily reversals, it’s easy to lose sight of the larger arc, which is that US and Chinese supply chains and trade remain deeply intertwined. The simplicity of proposing massive tariffs always masked the complexity of the relationship and the degree to which it is impossible to penalize China without simultaneously penalizing American businesses, workers, and consumers. That’s evident in statistics showing just how much of Chinese exports to the States are made by US companies operating in China. Apple and the massive assembly plants operated by Foxconn are often presented as an example of the intermingling of supply chains, but a slew of American-owned firms are manufacturing goods in China. In fact, 43 percent of Chinese exports are sourced from foreign (i.e., non-Chinese) owned firms. The numbers are even higher for many tech-related items such as computers, electronic devices, and telecom equipment. In the tech sector then, tariffs on US imports from China therefore amount to taxes on US companies and US productsthat will be borne by US buyers, along with US workers. What looks like punishing China ultimately punishes the United States at least as much, and arguably more. The price of nearly every smartphone, flat-screen television, washing machine, drone, game console, tablet, and computer would rise, triggering domestic inflation, denting consumer spending, and impacting those least able to absorb the costs. That may be why recent emphasis in the talks had been on China buying more American agricultural goods and easing access to Chinese markets for US companies. That would actually benefit American citizens—and voters—who would be harmed by tariffs meant in theory to punish China. Threats and bluster are relatively easy, though not necessarily without their own costs. The easy invocation of tariffs may be seen by Trump as a useful negotiating ploy, but only if Beijing does not call the bluff. For now, the Chinese leadership seems intent on bending a bit to avoid an all-on trade war that would disrupt the Chinese economy. Beijing appears to be taking the approach that it’s best to compromise where it can, rather than fracture an economic relationship that matters greatly to its domestic agenda. Given the volatile past few months, it’s easy to envision new confrontations that lead to actual tariffs. For now, however, the Trump administration is acting much as it has acted for the past 18 months—with strong rhetoric and threats far surpassing action. The administration is learning that with China, there are only two-edged swords and the prospect of Pyrrhic victories. A war of words may presage problems ahead, or they may be like most words to date: loud and ultimately hollow. Until either side actually imposes tariffs substantially broader than anything now being contemplated, very little has changed. Yes, we need to monitor these debates to see where they lead, and yes the rubbernecking is understandable. But best to drive on, nothing to see here.